The Squadron’s new logo was designed by our cadets during a competition won by Cdt Kara Hawkins (Logo Design) and Cdt Cpl Danny Henman (Motto creation). 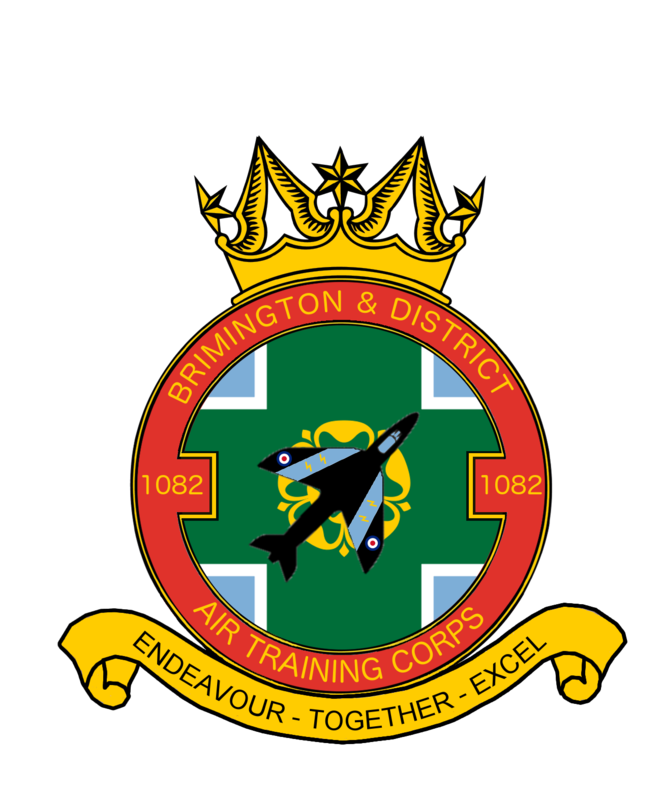 The crown and red surround are from the Air Training Corps logo. The flag in the background is the Derbyshire flag, where the Squadron is based. The aircraft is a Hawker Hunter navigating over Derbyshire, where we carry out Adventure Training. The lightning motif on the wings symbolises the Squadron’s commitment to radio and cyber communications training. The RAF roundels on the wings symbolise our link to the parent service. The motto – Endeavour Together Excel – encompasses the three core values the cadets themselves listed during the competition that most symbolises their approach to activities. Endeavour by training your best, no matter your abilities. Working Together as a team to achieve our aims. Through this hard work and teamwork we will Excel in all things.